If you’ve been prepping for any amount of time, then you know that it’s a good idea to plan ahead. You’ll want to plan your survival garden, your bug out location, your bug out bag, and a number of other things. One thing that may not have been on your radar, though, is what foliage that you should have at your bug out location. We’re not talking here about what plants you should have in your garden (though, you will want to plan that, too). No, what we’re referring to is what other plants that you’ll want to have nearby to help you in your survival efforts. Cinnamon is not difficult to grow and has a plethora of beneficial and medicinal uses. The spice was once considered more precious than gold, a testament to both its healing power and sweet taste. Cinnamon is made from the bark of the tree that bears its name. The bark is dried into a stick or tubular form and then ground into powder. There are about 100 different varieties of cinnamon. The primary medicinal benefits of cinnamon stem from the essential oil found in the tree bark. The active components in the oil are cinnamaldehyde, cinnamyl acetate and cinnamyl alcohol. The spice is believe to possess strong anti-inflammatory, anti-microbial, anti-clotting, and anti-infectious properties. Cinnamon’s antioxidant properties include minerals like iron, manganese, polyphenols and dietary fibers. It is also a natural source of carbohydrates, sugars, amino acids and fatty acids. Now, Dodrill says that cinnamon grows “can grow year round in Department of Agriculture hardiness zones 10 through 12. If you live in a colder zone, the tree can be grown in a pot and moved indoors during the chilly months of the year.” Be careful to have plenty of space, though, if you grow these tress inside your home because they can reach heights of eight feet. 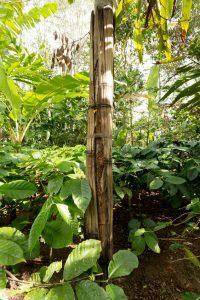 So, now that you are considering planting cinnamon trees, what other plants are you going to have at your bug out location? Tell us below.